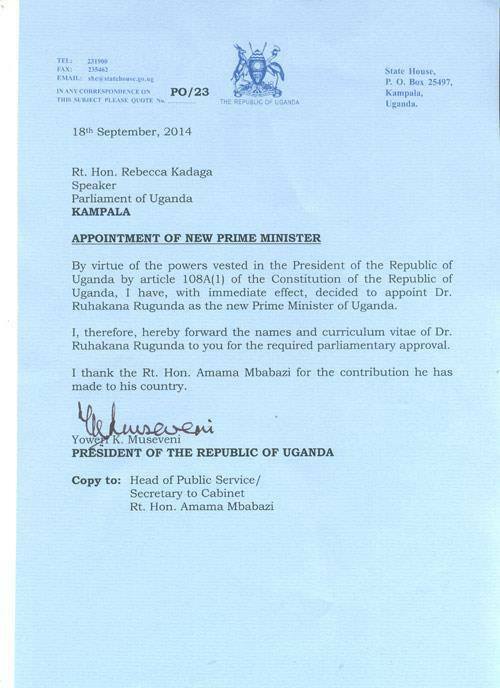 Letter from PM Amama Mbabazi on resignation. 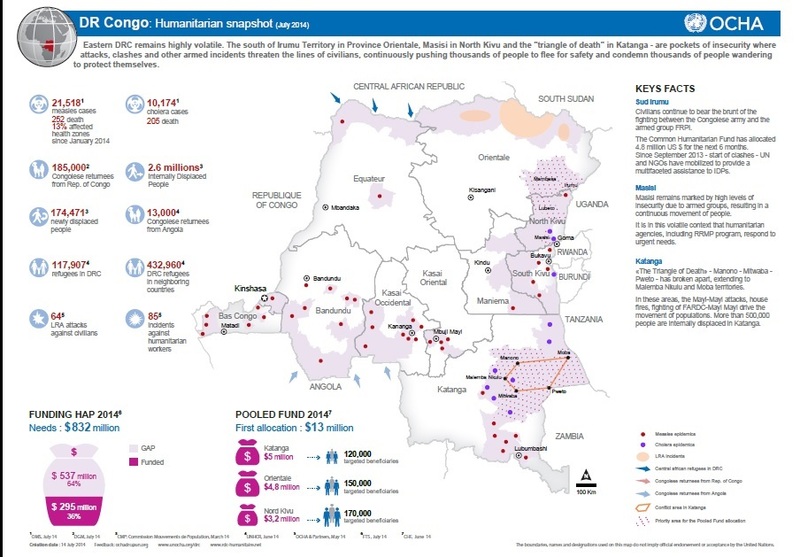 Ugandan government positions and the share between the regions. Here is a short list of how the different regions have employed people in the main position in Government. This tells a story on either where the quality of those employees or where their related to. 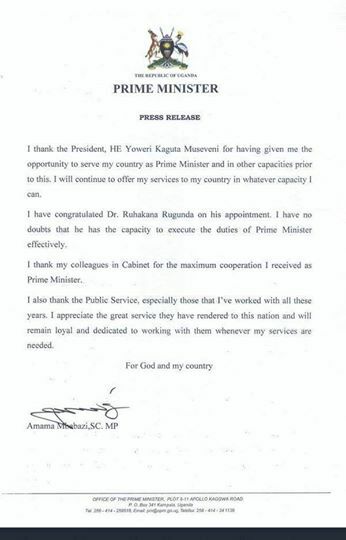 This can be either a sign of nepotism or favouritism, it could just be luck. But when you have had a stable government running since 1986, it can’t be pure luck how the picture is painted today. The clear picture is telling it all. The Western tribes are having the most significant positions and that happens to be the area where the president reside and have has big farm. In the NRM Ten-Point Program – point number three: “Consolidation of national unity and elimination of all forms of sectarianism”. We can all see that unity started in the West and Centrals has also some great positions. The total amount of them is 77. The Westerner regions have 35 and that is about half of them. East have 20 so they have a great amount of them nearly one-third. Central have 15 of them. Northerners have 12. So you can see that there are more of the Western and Eastern has in total 55. So they to regions together is 2/3 of all ministers. This tells the whole tale, but also might tell how many more people lives in this regions compared to the North and Central who has 27 combined. It is 88 of them. Of this the Western and Central has 69 of them, but the Western has one more then Central. But there are really in charge of the advice to the executive. North and Eastern has 19. Eastern has 12 of this, so you can easily calculate that Northerners have only 7. The percentage of the Western and Central has surely a big piece of the pie. Even like all history of Uganda, Northerners has been fitted into the army. If you read some history about the British King’s African Rifles then you’ll see that the British picked the Northerners into the army. But the biggest positions in UPDF are still to the West and none in Northerners. But the lowest mid-level positions are delegated to them. When it comes to the Police when you merger West and Central of the 15 positions they have 10. The East has 4 and Northerners has only 1. Even if it comes to the Prisons you can see that the Western has 3 positions while the Central has 2. North and East has one each. So you can see the favouritism. The Western has 19 alone, the Central has 14, the Eastern 4 and the Northern has 1. This shows that Western and Central has 33 of the 38. Eastern has a percentage but not of any significance considering the Central has double of that one. The Northern has 1 person who the lucky one representing them. It has a meagre and nearly not existence in the further away parts of the government, and the corporations that has ownership in it. That was my résumé on the matter. Hope it makes sense.